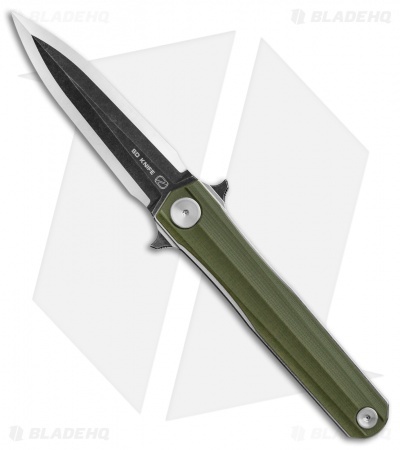 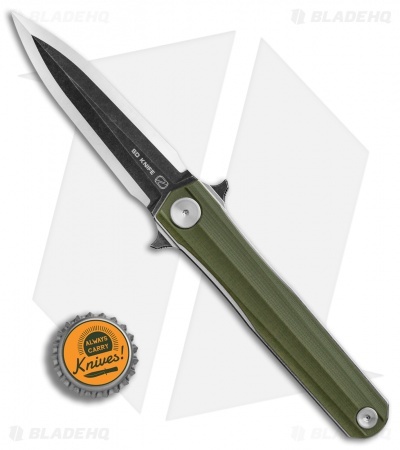 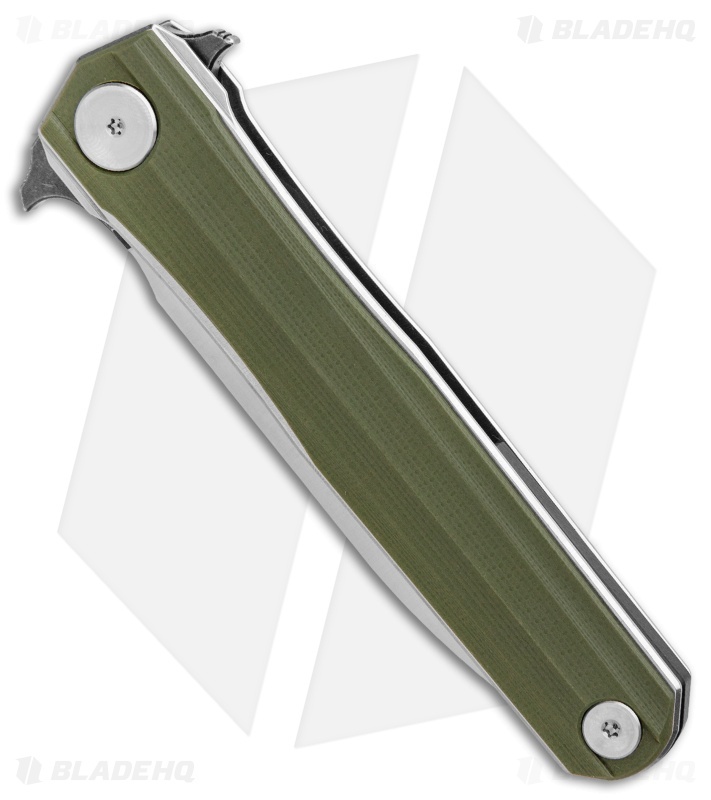 The Stedemon Han offers an affordable and dependable EDC folder with a unique design. This model is outfitted with a green G-10 handle and a black stonewashed dagger blade with a satin grind. The G-10 scales are secured over sturdy stainless steel liners and a G-10 backspacer. A blade flipper offers one-hand deployment and doubles as a guard in the open position. 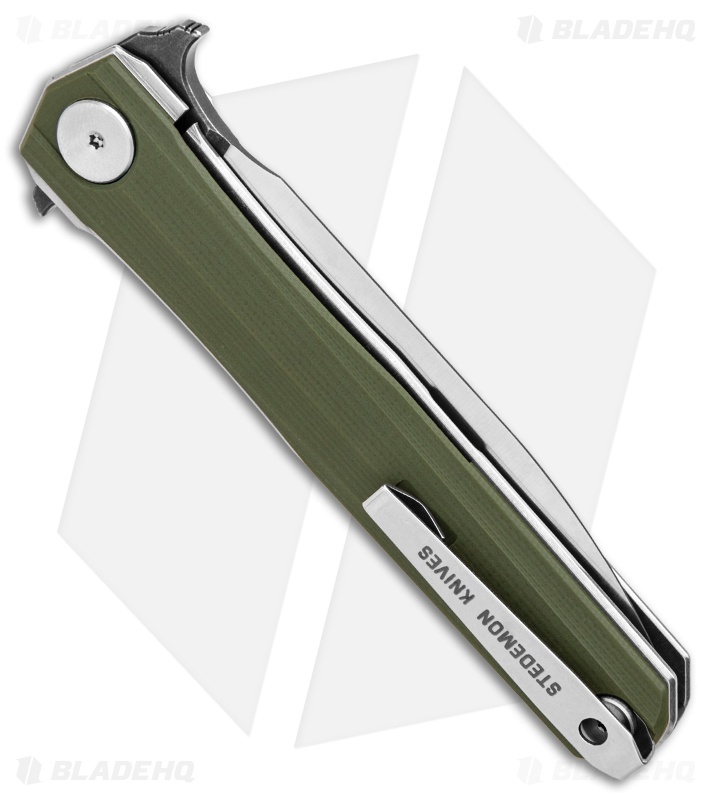 A deep-carry stainless steel pocket clip finishes off this impressive Stedemon design. Textured handle scales offer improved grip in any conditions. 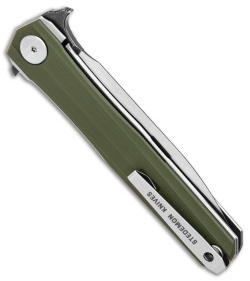 Item includes a stainless steel pocket clip for deep-pocket carry.